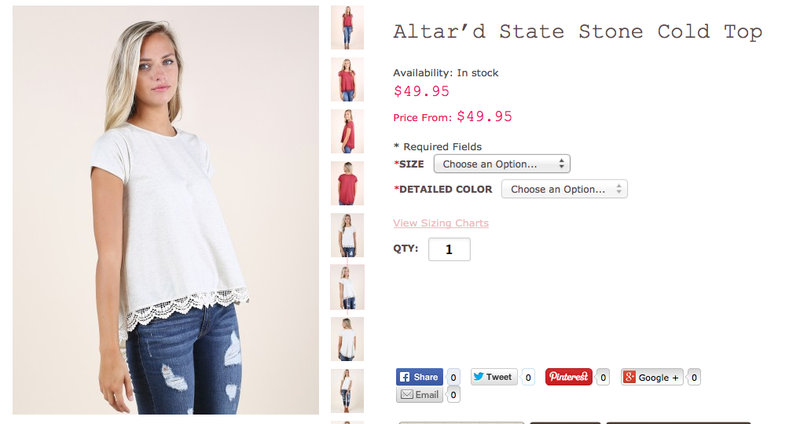 Over the summer my good friend took me to a clothing store that I'd never been to called Altar'd State. They had some cute stuff in there, lots of lace and crocheted detailed in their clothes. My friend described it as kind of a less expensive version of Anthropologie. She was right however there were a few things that were a bit over the top for my price range. Plus now that I'm sewing my own clothes lately, I saw there were some pieces that I could try to copy. Like this cute little t-shirt. A simple knit tee with a little bit of detail on the bottom hem. This baby was $50! Whaaaaat? When I got home I went through my pattern stash and found Simplicity 1160 for knits only. Ah-ha! I knew I had something similar in my stash that I could riff off of. I headed to Joann's and found a pretty cream double knit fabric along with a coordinating crocheted trim. I was off to my serger and sewing machine. I cut pattern C in a size Small. Again I think I cut have cut a size down. This was easy to put together. Since I have been practicing sewing knits more on the serger, I'm still learning how to adjusting the serger for the various knits that I use. 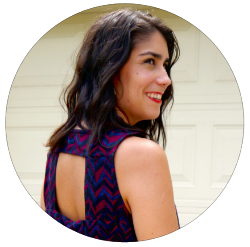 I neck line came out a little too wavy, but its nothing that a statement neckline or a pretty scarf can't hide. And who am I am kidding? I'm probably being to knit-picky about it and probably nobody would notice. I really like how it turned out! 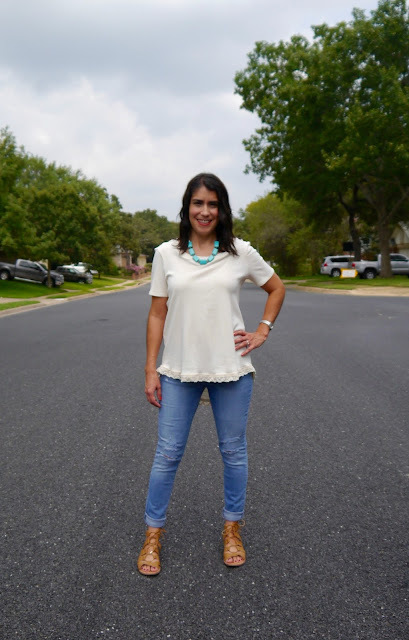 I can wear this top all kinds of ways this fall like layers, skinny jeans and leggings.